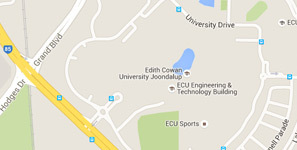 ECU works with a range of local sporting teams, including Perth Glory. Sports has become a big business in Australia. And behind every successful individual and team are the professionals who help athletes achieve their maximum potential. What does a sports scientist do? Sports scientists use their knowledge of the human body to help people improve their general health and their specific sporting abilities. Professor Rob Newton, a renowned exercise physiologist and the Associate Dean of Medical and Exercise Sciences at ECU, says it’s a fascinating career option. “It’s all based on science. The human body is the most complex machine in the universe, so a sport scientist is looking at the human anatomy, physiology and bio-mechanics to make that body fitter and stronger,” he explains. How do you get a start as a sports scientist? One pathway is to gain formal qualifications, such as ECU’s Bachelor of Science (Exercise and Sports Science) degree, which has been rated in the top 15 in the world according to the Shanghai Ranking of Sports Science Schools and Departments. “The Australian Government wants more people to participate in sport as they realise that healthcare costs will reduce if people are fitter. This means plenty of opportunities for sports scientists,” Professor Newton explains. As well as becoming sports scientists, people who study the degree can also become exercise physiologist, teachers, sports coaches, development officers or sports therapists. Some graduates also choose to focus on rehabilitation, helping others recover from injury or illness. If you want a career in sports science, it goes without saying you need to enjoy sport. “You have to practise what you preach, you can’t be a couch potato and encourage everyone else to be fit and healthy. You should be physically fit and understand the benefits of sport,” Professor Newton says. But it’s also important to be a people person, as communicating with athletes is a key part of the job. The ECU course includes subjects on anatomy, physiology, nutrition and bio-mechanics. Each student has the opportunity to undertake a 500 hour work placement, with many securing spots with professional sports bodies and teams. “We’ve had students who’ve done placements with the West Coast Eagles, Perth Glory, West Perth Football Club and the Subiaco Lions. And these opportunities may open doors to future employment,” Professor Newton says. ECU graduate Alvin Goh liked the field of sports science so much he has returned to do a PhD in the same area. For more information about kick starting your career as a sports scientist, check out the Bachelor of Science (Exercise and Sports Science) course page.